There should be a common name for cities where a river flows as they all have something in common and certainly in Europe we don't make enough of our rivers this is why #riverfood has an exciting offer. A Week or so ago, Pebble Soup HQ was invited to board MV Royalty moored at Jubilee pier to enjoy the launch of #riverfood menu created by the Michelin Starred Chef Phillip Cooper, using only food from the River Thames Estuary. In July, Pebble Soup was sent some fabulous products so this month's round up is a bit of a treat. Devilishly Delicious- We all love a kitchen cheat, mostly because it saves time. But a cheat is a cheat and an honest one is hard to come by. Devilishly Delicious reads "Simply heat, chill and serve" well almost, you have to open and pour first. The whole process takes 5 minutes max. when any of these desserts would take at least 3/4h to make from scratch. The end result: "a restaurant quality desserts", Devilishly Delicious indeed. If you fancy a Panna Cotta, a Sicilian Lemon Mousse, really sharp but sweet too, a Creme Brulee or a Chocolate Mousse with 70% cocoa. Go for this brand. Ah and they also make coulis. 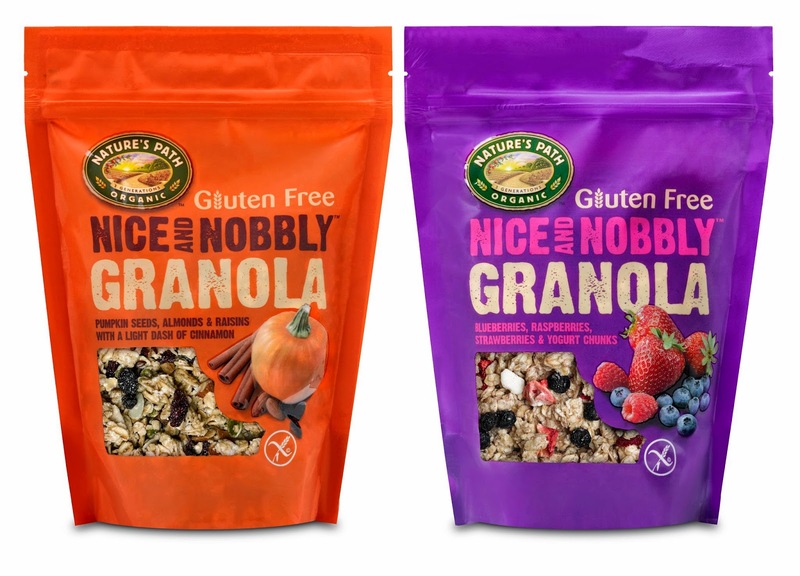 "Nice and Nobbly" Granolas- Gluten-free granolas by Nature's Path come in two flavours: Pumpkin Seeds, Almonds and Raisins with a dash of cinnamon and Raspberries, Strawberries and blueberries with yogurt chunks. Let's get the hard facts out of the way: Nature's Path granolas contain roughly half the fat of supermarkets brands but cost twice the price. Still it's way cheaper than making your own. Now for the pedigree: product of USA,"organic only" cereal producer and family owned firm. So what does it taste like? : Nicely crunchy, not sugary at all and there is "plenty enough" going on to amuse the taste-buds, first thing in the morning. In my opinion, it's worth chosing over many other brands. 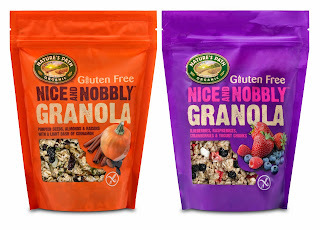 A good product and one of the best commercial granola, I have had so far. £3.49 (312g resealable pouch). Higgidy Pies and quiches- If there is something I know about, it's pies and quiches and like the evil witch when I ask the question "who makes the best pies and quiches in the world?" I don't expect anything else for an answer than "You do". What I was not expecting to hear me saying was: " This quiche tastes as good as mine". So we had three goes at it, three different types, a Smoked Bacon and Cheddar quiche, a Spinach, Feta and Toasted Pine Nuts deep pie and a little pie and with every single one, the answer was the same: These pies and quiches are absolutely delicious. The pastry is light and tastes great, the fillings are tasty and generous. At RRP £3.49 for 250g pie it will not be long before the Higgidy people will have to move to a bigger kitchen to make their pies. 10 out of 10. (have a look at Higgidy website where you can win a picnic bag and a voucher for the next 3 weeks). Quinola- offers three types of quinoa, a grain I hadn't tried before. When uncertain about a pulse or wheat, get it in a pouch, that's the easiest way to cook it to perfection. Quinola pouches are informative and the grains fairtrade and organic. The Food and Agricultural Organization of the United Nations (FAO) has officially declared that the year 2013 be recognized as "The International Year of the Quinoa." disclaimer: thank you to the cies mentioned above for provided samples of products reviewed in this post. Waste is hard to comprehend and wasting food is even harder to understand. You hear of people taking a black plastic sack to the fridge, on a weekly basis, to throw away what ever is out of date before going shopping again. On the other end mothers and grand mothers will tell tales of reusing washing up water. There is middle ground, a happy fun place where imagination reigns and left overs become the base of a new meal. A place where green arancini recipe comes from. So when you have any risotto left, don't throw it away, store it in the fridge and the next day, plan a little surprise for the family with these Sicilian Stuffed Rice Balls otherwise known as arancini, great as a starter or a light meal with green salad. Arancini are traditionally coned shaped and stuffed with mozarella or with minced meat in tomato sauce. I find it quicker to make them round and prefer to stuff them with feta. In a large bowl combine beaten egg, risotto, 2 tablespoon breadcrumbs. Form a smallish ball using a little less than 2 tablespoons of risotto mixture, stuff 1 cube of feta in the center and roll in breadcrumbs. Working in batches shallow fry the arancini so that they are coated on all sides. Remove, dry on a kitchen paper towel if necessary, serve with a quarter of lemon and a green salad. On the hottest day of the year, sharing a picture of Xmas tableware is probably not appropriate, but this sneak peak at Christmas from Lakeland, as seen last week is so stunning, it's difficult to resist. So here it is an Oil and Vinegar Platter with its ceramic hear-shaped dish cleverly separating the liquids. If you need a refreshing though, there is only a little over 150 shopping days till Xmas. Is it OK to eat rabbit? This is a question which would remain unanswered if it was not for Belleau Kitchen's monthly challenge. If Belleau Kitchen and its Random Recipes didn't exist, they would have to be invented. Though re-creating Dom, Belleau Kitchen's owner might just be an impossible task, a lot of imagination would be required to inject the avatar with. As who else would come up with a challenge which ask you to enrol a friendly giant to shake your entire bookshelve, pick a random by then designated cookbook, open it at a certain page and cook. See what I mean. July Random Recipes is associated with the number 30. Thirtieth book on the shelves was a Sainbury's Cookbook, he brought with him when we moved in together, page 30 offered a choice. One of them choice which makes eyes grow wider than the UFOs in Close Encounter of the Third Kind: Sweetbreads or Rabbit. On reading the recipe carefully, I soon realise that there was no choice it was going to be Rabbit Curry with Eggs. It is an inexpensive meat. 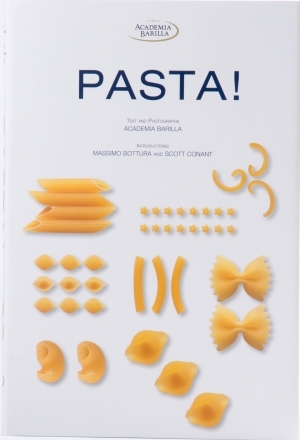 It cooks well with spices and is very flavoursome without. Rabbit can easily be found at the local butcher and we need to use their trade more. Rabbit meat is lean, therefore low in cholesterol. In this recipe for a mild curry the combination of coconut and curd cheese gives a rich creamy sauce. Ask your butcher to chop the meat for you, this way you will get only 2 pieces with lots of little bones which you can remove before serving. Put the desiccated coconut into a bowl, pour over the boiling water and leave to soak for 10 minutes or more. Peel and chop the garlic finely. Heat the oil in a pan and stir in the rabbit pieces, adding the spices, chilli powder, chopped garlic. Stir over a gentle heat for 2-3 minutes and then transfer to a casserole dish, adding the sliced eggs and tomatoes. Strain the liquid from the coconut into another bowl, pressing the coconut to extract all its juices. Then stir the curd cheese into this coconut milk until more or less dissolved. Pour this mixture into the casserole dish. Heat the oven to mark 8/ 450f 230C and put the covered casserole into the oven for 20 minutes until bubbling. Then turn down the head to 4/350F/180C for about 45 minutes. Season to taste with salt and add a pinch more chilli if you like. Before serving stir in the yogurt. Last time, Pebble Soup entered Belleau Kitchen's challenge, the random recipe with an impossible name to spell, got us to research and learn a lot about paprika. This time round we all loved this rabbit recipe and to be honest, this was not a meat which was on the menu before but it will be from now on. 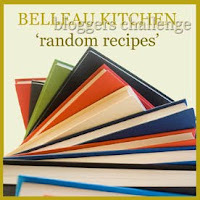 Have a go at Random Recipes even if you don't have a blog to tell the tale. It's great fun to rediscover your books. This year, it's one herb at the time. Starting with Basil. There are dozen of varieties, Sweet basil being the most common, a classic, italian basil. Thai basil is more flagrant than sweet basil. Confusingly Greek basil is a variety from Sout-East Asia. Not all basil is green, purple basil is, yes purple and frilly. If the plant starts to flower, cut the flowers off as the leaves will get bitter if plant is allowed to flower. Water as soon as the soil gets dry which, in summer, is every couple of days. Harvest starts when the plant is 15 to 20 cm or 6 to 8 inches. Cut a stem above a set of leaves that will encourage growth. If you don't use it all, keep the stem in a glass of water. Basil doesn't like the fridge. If you are lucky enough to get strong plants here are two recipes which can be frozen. Keep in the fridge in a jar, topped with olive oil. In a food processor (or mortar) mix the basil, garlic then add the butter, pepper when mixed transfer to a small container. Use for pasta, garlic bread etc..
Garlic butter freezes well, keep in the fridge, put the container in a tupperware to avoid the garlicky smell to spread. This Christmas expect a few new creations from Heston at Waitrose, here is one of them as seen at the Waitrose Xmas launch 2013. It is not always easy to keep up with the demand of a blog. What's New in the Kitchen is an efficient way to review succinctly products which are new. Some are bought, some are offered for review, but they will make it to a post only if they are worth trying out. Higher Living has been blending teas for 45 years, their herbal range is vast, inevitably there will be likes and dislikes. Pebble Soup HQ was sent 4 flavours to try out with surprising results. I am not a fan of licorice or anything with licorice in but I adored licorice tea and I used it as a substitute to snacks. I thought Detox would be a winner and sadly I didn't like the taste at all. Verdict: The herbal teas are strong and the flavours are clearly coming through. Higher living teas brings a feeling of comfort. You might have to try out a few before finding the flavours that you like. Higher Living herbal teas are available in Asda, Tesco, Holland and Barrett, Planet Organic, Wholefoods RRP: £1.39. Working for a chocolate magazine means that I review all manners of chocolatey creations. Therefore, I don't tend to attend events outside the day job. Except that I did, and went to the summer collection launch of Creighton's Chocolaterie to be blown away by the creativity behind their chocolates. Mother and Daughter teamed up to produces fine quality and unique design chocolates named after grand'ma Creighton. Verdict: Creighton's Chocolates are tremendous fun. Obviously not the dainty little bits from high-end chocolateries, they are never the less, traditionally hand made with fine chocolate, only very much in your face, in a nice way. Retailed on line or from 2 independents stores one in Leighton one in Beaconsfield and the Nostalgia collection made it to Liberty's this summer. Between £2.00 and £5.00 with larger creation between £10.00 and £15.00.